Cathy Fink may be best known for the many children's albums she has recorded over the years, but she is also a key figure in feminist-oriented folk and country music. Born and raised in Baltimore, she got her professional start in 1973 at the Yellow Door coffeehouse in Montreal, at the height of the folk revival. There she became well-known for her excellent banjo and guitar playing, as well as her yodeling. The following year she debuted on the CBC and has since played in every major North American folk festival. She and Duck Donald teamed up that year and stayed together until the end of the decade. Fink made her recording debut in 1975 with Kissing Is a Crime for Likeable Records. Three years later, she and Duck released a self-titled album on Flying Fish; the two released their first children's album, I'm Gonna Tell, in 1980. Following a breakup with Duck, she moved to Takoma Park, MD, and immersed herself in the folk, bluegrass, and old-time music scene, playing over 5,000 concerts. In 1983, she teamed up with Marcie Marxer in the Cathy & Marcy duo. In 1985, she recorded The Leading Role for Rounder (her first "adult" album in several years) and began producing other artists a year later. In 1988, she moved to Sugar Hill and recorded Blue Rose; the next year, Cathy & Marcy released a self-titled album. She also produced an album for Great Dreams and, along with Marxer and Si Kahn, released cassette tapes of the best-selling children's books The Runaway Bunny and Goodnight Moon for Harper & Row. In 1991, she released a solo album on Sugar Hill and then put together 80 songs to contribute to the Macmillan/McGraw-Hill reading curriculum, a project entitled A New View (1992). In 1993 she produced Si Kahn's children's album Good Times & Bedtimes. 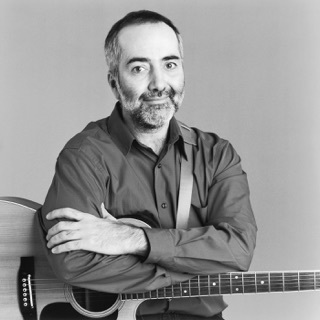 Fink returned in 1995 with A Parent's Home Companion, and two years later released Voice on the Wind.